MOSCOW — Catholics across Russia are celebrating the centenary of the 1917 apparitions of Mary to shepherd children in Fatima, Portugal. But Father Burgos’ parish may be placed under particular scrutiny by the government for the sole reason that it is Eastern-rite Catholic and almost indistinguishable from an Orthodox parish, except for being in union with Rome and praying for the pope at Mass. 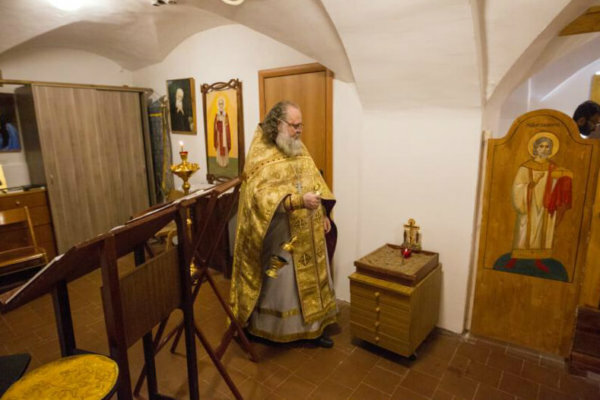 For decades, but especially since the breakup of the Soviet Union and the resurgence of the Eastern Catholic church in Ukraine, the Russian Orthodox have said the existence of the Eastern Catholic churches, which reunited with Rome over the past 500 years, are an obstacle to Christian unity. The Orthodox claim the Eastern Catholics encroach on Orthodox “canonical territory” and that their very existence is an attempt to achieve unity by breaking off pieces of the Orthodox community.